For as long as we can remember, The Legend of Zelda: Ocarina of Time has been heralded as not only the best Zelda game, but one of the greatest games of all time. In recent years however, more and more fans have declared their favour for the classic game’s unique sequel, Majora’s Mask. Even Nintendo has taken notice of this, with numerous nods to it in games like Link Between Worlds and Super Smash Bros. Wii U, eventually leading to a full remake on the 3DS. It seems Majora’s Mask is quickly becoming the darling of the series, with countless remarks on how it’s a darker, more mature approach to Zelda. So does Majora’s Mask really surpass Ocarina of Time in greatness? The emotion, responsibility, and ramifications Majora’s Mask can evoke prove it’s an upgrade from Ocarina of Time. When discussing The Legend of Zelda I feel like I can’t go two sentences without feeling amazed that the original Majora’s Mask and Ocarina of Time came out during a time of primitive internet, frosted tips, and blocky graphics. What’s more is that arguably two of the greatest games of all time came out within such a short time of each other. With the recent Majora’s Mask re-release on 3DS, I decided to play both in their most refined forms. Although by little margin, I have finally decided that Majora’s Mask is king. Ocarina of Time was a great game and truly launched my love of Zelda, but a major reason why Majora’s takes the cake – though a bit personal and odd – would be the fact that the latter game contains a lot of actual real time pressure. 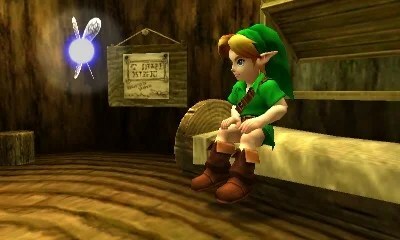 In OoT, players are presented a situation where Ganondorf sits and waits for you to get more and more powerful and solve all his puzzles. The idea in storytelling of a powerful villain sitting and waiting never bothered me – until I played Majora’s Mask. Skull Kid (or if you prefer, Majora) doesn’t wait for you; the moon takes three days to come down and then all is doomed. When approaching this three day element for the first time, my ten year old self was genuinely scared of the ramifications of letting the moon fall, and that fear still exists even now during more recent playthroughs being almost 21 years old. I was scared and felt pure unrivaled pressure and sometimes left dungeons early to make sure I had enough time to save and restart the day cycle, a phenomenon Ocarina of Time never takes advantage of. Nintendo designed this game in an ingenious manner not only in regards to dungeons and use of time but also in the ways it evokes feelings. On that note, another major reason I love Majora’s is the fact that it gave us a more gritty Zelda. The mortality of characters was real. There was a time limit and real time reactions to your mistakes. But above all the theme of death and darkness was present everywhere. whenever you’re in the dungeons something is waiting; when you enter a building someone is watching. In the Stock Pot Inn, for example, during certain time changes the camera might zoom in on the various masks hanging on the wall of the motel. Although not frightening per se, it’s still chilling to know some faces are watching in the dark. 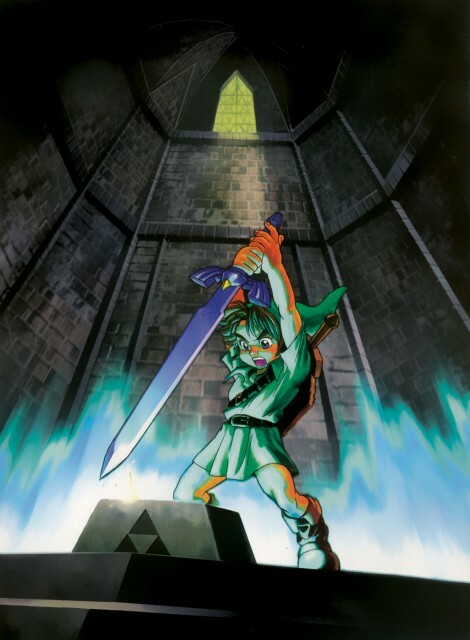 A few add-on points worth mentioning: While Majora’s Mask lacks the high amount of dungeons boasted by its predecessor, where the game truly excels is in its side quests. The ones present in OoT were more or less collectathons with less than enticing rewards, nothing as satisfying as reuniting a loving couple before their world ends or saving an entire ranch from an alien invasion. And yes, while Majora’s largely used the same characters, they absolutely used them better and in more memorable, empathetic ways. Also, Link does those cool flips when he jumps onto a platform…amazing. Above all, Majora’s Mask nails a feeling of independence and responsibility. Your main transformation masks are not light hearted allies like other games might provide, but are actually the souls of dead people whom you have given their final rites. No one powerful is left to help you. There are no sages, and no guidance besides a fairy whom is powerless in the face of the threats you’ll encounter. Link is alone with Epona, his masks, and you. You are the only light in a world filled with darkness. You feel the pressure and weight of Link’s mission like in no other Zelda game, and it feels like a true journey rather than just a video game. You are living the adventure. Majora’s Mask is great, but is it really worth downplaying the seminal Zelda experience? One of the largest factors in the argument for Majora’s Mask is its grim atmosphere. And that’s absolutely true; the game is dripping with solemn despair in all its facets. The impending doom of Termina can be seen and felt in its characters, music, and mechanics such as the ticking timer, really selling the feeling of ever approaching dread. It’s one of, if not the most memorable parts of Majora’s Mask and helps separate it from the rest in the series. However, I also feel this dire atmosphere can be a little too aggressive. The constant state of anxiety and worry at every corner can feel very oppressive, and the playing the game for long periods can sometimes be a stressful experience. There are many moments of lightheartedness, but the timer onscreen and the moon overhead always serve as a reminder that you don’t have a lot of time to fool around and explore as you do in Ocarina of Time. The timer works great as an interesting and unique mechanic to mix up the traditional Zelda formula, but can oftentimes lead to frustrations when it works against you. Missed schedules or simply running out of time can lead to having to redo the entire three days in order to perfect a sequence of events or complete certain goals. I’m sure many people have found themselves halfway through a dungeon before being forced to restart because of the timer. People often entirely disregard the famous elements of Majora’s Mask like the darker tone that was also present in Ocarina of Time. Immediately from the onset of departing the Temple of Time as adult Link, we are shown the devastation caused by Ganondorf. Hyrule Castle is in ruins, and its citizens migrated to Kakariko Village. The Gorons are being held prisoner in Death Mountain and eaten by Volvagia, and Zora’s Domain has entirely frozen over. The problems plaguing Hyrule may not be as direct as the moon staring down at you in Termina but are nonetheless just as dismal. Thankfully these dire circumstances can be present while also not hampering gameplay, and players are free to explore Hyrule at their leisure, even travelling back to the cheerier, more innocent past. The sense of narrative progression is much more rewarding in Ocarina of Time than Majora’s Mask, as this is hampered by the three day system. You may unfreeze Snowhead and return Lulu’s eggs to her, but these events are all reversed when returning to the first day. In Ocarina of Time, Link truly feels like he is bringing back peace to Hyrule through his actions, slowly returning it to its former glory. Narratively, there’s no doubt that Majora’s Mask tells a more intimate story than its predecessor. The story of the Majora’s Mask taking advantage of the Skull Kid’s sorrow over losing his friends to destroy the world is an interesting one, but lacks the grandiose of Ocarina of Time. One could say that Termina’s history is more interesting, shrouded in mystery, but Hyrule shares this subtlety too, with mentions of a civil war bringing Link to Kokiri Forest, an event only briefly touched upon. After the adventure in his homeland of Hyrule, Link literally stumbling into Termina leaves it feeling inconsequential, with some questioning if the area is even supposed to be a physical location at all, or simply in Link’s mind. The plot of Ocarina of Time is evocative of Joseph Campbell’s “The Heroes Journey”, a classic narrative pattern that while very traditional, leads to some of the most influential and memorable tales of our time such as Star Wars and Lord of the Rings. It’s a familiar tradition, but it’s popular for a reason. OoT revels in this structure, from the call to adventure to the literal belly of the whale. This narrative isn’t the most unique or mind blowing, but it sticks with audiences. It’s simple enough to retell through the ages, but allows enough flexibility to be supplemented with interesting flourishes or deviations. Ocarina of Time’s plot will always be remembered because of this, and remains a staple of the Zelda series. Majora’s Mask is known for its multitude of mask side quests, with many standouts like Kafei’s quest or the Romani Ranch sequence, but these two are often the most cited examples for the games’ side quests, while many other masks and the events surrounding them can be very forgettable or minor, such as the Bremen Mask or Bomb Mask. This argument also foregoes all side quests present in Ocarina of Time, like the Gerudo Training Grounds or getting Biggoron’s Sword. The world of Majora’s Mask is also known for being inhabited almost entirely by characters already seen in its predecessor. While this quirk is now fully accepted and even remembered fondly, I feel a blatant recycling of character models in a game released today would be heavily looked down upon. If the next Zelda game was mostly made up of characters already seen in Skyward Sword, many fans would be in an uproar. This decision makes sense in retrospect with the short release window between the two games, but it is still disappointing such a unique game in the series does not boast its own exclusive cast of characters. What I find truly lies at the heart of my preference for Ocarina of Time however, is simply the larger amount of dungeons. I find Zelda is at its best when Link must utilize all of his combat, gear, and puzzle knowledge to traverse and complete a dungeon. Majora’s Mask is known for boasting only four main dungeons, while its precursor had nine. While Majora’s dungeons can be said to be harder and more complex in comparison, I also find they are simply not as fun to complete. With the exception of the infamous Water Temple, I thoroughly enjoy each dungeon in Ocarina and look forward to playing through all of them. In its sequel however, I find the Great Bay Temple almost, if not equally as frustrating to navigate as the aforementioned Water Temple, and the Stone Tower Temple, while including a fun twist with the flipping of the dungeon, can be incredibly tedious as one of its main components is playing the long, Elegy of Emptiness, sometimes multiple times in the same room. I know I’m delving into nitpick territory, but I feel it’s justified with this new surge of love for Majora’s Mask in the last few years. Many have come out as saying it was always their favourite all along because of its dark and edgy take on Zelda, praising the atmosphere but entirely ignoring all its shortcomings. It’s an intriguing offshoot of typical series formula, but one that I worry many players gravitate towards because it’s the “black sheep” of Zelda. I love Majora’s Mask and appreciate everything it does right, and it does these things very right, but I’ll never forget that Ocarina of Time is a better-rounded, timeless, and always engaging experience. So, who’s right? Let us know what game your heart lies with in the comment section and maybe we can settle the debate once and for all!